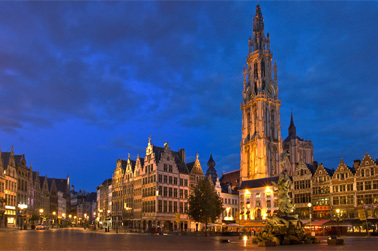 Antwerp will surprise its tourists with a variety of gastronomic impressions. For those, who seek for Italian cuisine in every corner of the world, there is Da Giovanni restaurant, which is famous not only for an exquisite menu and beautiful interior. A nice music is always played here and everyone is ready to meet the guests. The large, atmospheric restaurant in situated in the heart of the city. It has a large selection of pastas, pizzas, salads, appetizers. Very tasty pizza with seafood is one of the most expensive in the restaurant and costs 13 euros. You can easily take one pizza for two eaters. An international restaurant Kommilfoo is well-known among the tourists, too. Among its specialties there are baked duck fillet and goose liver pate. It is rather expensive, but the dishes and a beautiful interior are worth this money. It also provides a good wine cart. Spaghettiworld reminds us about sunny Italy and proudly introduces dozens of different kinds of spaghetti. It is well-known for a huge menu and moderate prices. It is probably the best Italian restaurant in the heart of Antwerp! The interior of the restaurant is very beautiful and cozy, and looks just like home. It provides very large choice of spaghetti and ravioli, but there are several kinds of risotto as well. 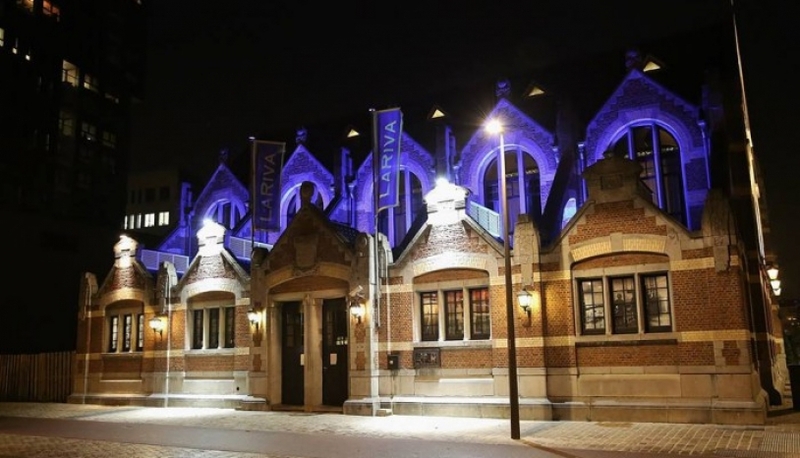 If you come to Antwerp with a person you love, go together to the Restaurant La Riva, which is a best place to spend a romantic date. Be sure that the charming atmosphere and best samples of Italian, Belgian and French cuisine will make your date unforgettable. Tabac is a very famous bar in the city. Here the bartender offers visitors modern and classical delicious cocktails every night. Leisure and cultural program will please you. It’s much nicer to enjoy the delicacies along with the contemporary music and watching artists dancing. A bar can be a romantic place, too. We talk about Bar De Vagant, which always provides a warm homelike atmosphere. It introduces all kinds of Belgian gin, but you can also find here all popular kinds of alcohol drinks. A big choice of appetizers, salads and desserts is a plus.